Tip of the Month: Decisions, Decisions…. By now, you know what it is like to feel the validation and pride that comes with being offered admission to some of the best schools in the country. There is only one of you but several places where you think you would be happy, challenged, and fulfilled. How to decide between various excellent choices? Here are some tips to navigate through a difficult set of choices. Invest some time in you. It is possible that the principles that guided your choice for colleges to apply to have shifted. A good deal of time has passed since you began this process and there may be new perspectives gained since you began this process. Or perhaps the fact that graduation from high school is just around the corner makes you think about the next place you will consider home. Ask yourself some important questions about how you want to learn, who you want to learn with and from, what kind of a social environment suits you best? You might make a check list or do this more as an internal process, or perhaps you are self-aware enough to be certain of your hopes. My point is: focus on the how and the “with whom” more than the what. Relationships matter. It turns out that your ambition to be the next great scientist or engineer or mathematician will require a journey through research programs, internships, real world applications, and a strong theoretical under-pinning. Ok, how will you get those internships and research positions? By working closely with faculty mentors and with other talented students in groups. Chase your dreams, but be adaptable to change. In your professional career, no matter what career it is, various forces and much of it having to do with technology will change the dynamic of your work. Prepare to be adaptable. Technology will ever be influenced by politics, economics, culture, arts, pop culture, and more. Your ability to persuade and to communicate with a diverse audience will be at a premium, as will your ability to work with a diverse group of people. How do you want to have fun? College should be fun. Find ways to have fun. Find the right people to have fun with. See point 2. Repeat as necessary. Best of luck with your choice! Let us know how we can help you!  I have worked at Mudd for 16 years as Director of Admission, and I love it here. Great staff, students and faculty. Before coming to HMC, I worked 14 years at my alma mater, Pomona College, so I cut my commute by 1/3 by moving 8 blocks north! I am a parent of two: one a senior in college, studying History, one taking a gap year after finishing high school last June. My wife works almost across the street at Pitzer. I love soccer and basketball - both of my favorite teams are the Spurs. I like to joke around. A lot.